Ignore SSL certificate errors – allows to ignore various SSL certificate errors, e.g. self-signed or expired certificate. This option is turned on by default. Turn it off if you need a strict check. Use TLS v1.0 only – allows to force using only old TLS version while connecting to the server. Useful to monitor old mail servers, like MS Exchange 2007. Off by default. Port (integer). The defaults are: 465 for an SSL-enabled connection, and 25 for all others. Authentication required – indicates whether user authentication is necessary. This monitor uses user credentials selected in the Credentials section below. Test Message – specifies whether a test message should be sent and allows to edit the message header and body. Port (integer). The defaults are: 995 for an SSL-enabled connection, and 110 for all others. Port (integer). The defaults are: 993 for an SSL-enabled connection, and 143 for all others. This monitor sends an e-mail message to given address, checks that it has been delivered and then deletes that message. You can specify the e-mail addresses, SMTP server settings, and POP3 or IMAP server settings. To and optional From e-mail addresses are used to send the message. You should have access to the mailbox that is indicated in “To” to be able to read and delete the test message. Server – allows to define custom SMTP server (defaults to the host name or IP address for this monitor). This is useful when SMTP server and POP3/IMAP server use different domain names. SMTP secure connection type, SMTP Port, Authentication required – these settings have same meaning as for SMTP mail monitor. 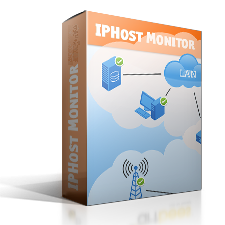 POP3/IMAP Server – allows to specify custom POP3/IMAP server (defaults to the host name or IP address for this monitor). This is useful when SMTP server and POP3/IMAP server use different domain names. POP3/IMAP secure connection type, POP3/IMAP Port, Authentication required – these settings have same meaning as for POP3/IMAP mail monitors. Folder (IMAP only) – defaults to “INBOX” but may be overridden in case when filtering for incoming messages is configured and they are eventually placed to a different folder. Note, that if you use e-mail client for such filtering, the monitor will depend on the client being started, otherwise the message won’t be moved to the folder and the monitor won’t find it there.